The announcement was made following Saturday’s AGM. Other events will take place throughout the year building towards a main Pride event in 2020. Cllr Love addresses the homophobic comments made on social media. 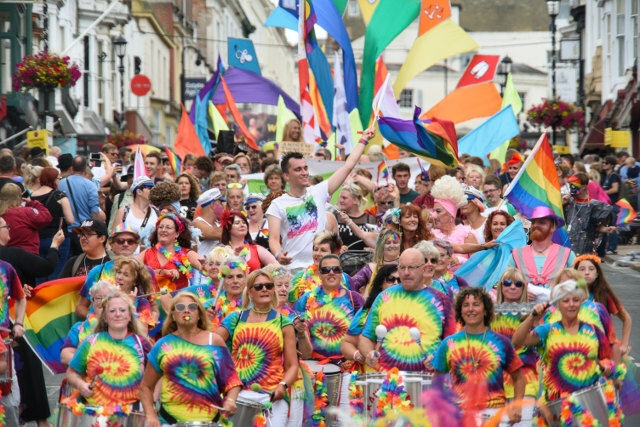 Following Saturday’s crunch Annual General Meeting (AGM), it’s been announced there will not an Isle of Wight Pride march this summer, as the Trustees made the decision to skip a year. Last year the Isle of Wight won the chance to host UK Pride alongside the second ever Island Pride event. It was explained after the AGM that although the main Pride event will not take place on 20th July as previously announced, other events would take place throughout the year, building towards a main event in 2020. A decision was made that there would not be an Isle of Wight Pride event for 2019, but that exciting plans were afoot to build a sustainable community event for 2020 with a five year plan to help Pride become a staple part of the Island’s events for many years to come. “With an increase in Charity Trustees as a result of the meeting, the future for the Islands LGBT+ Pride charity is bright and promises to bring a Pride March and event in 2020 to coincide with the 50th year anniversary of the Gay Liberation Front being formed, an organisation that Peter Tatchell was heavily involved with and an organisation credited with being a springboard for many of the LGBT+ rights that people in the UK celebrate today. “Pride will still be looking for volunteers to step forward to help with the many community events that they will be attending in 2019 and plans for 2020 will begin soon with aspirations for something that the Island will treasure and be proud of. With the Ryde Slide also cancelled for this year, the news that Pride will not take place as planned is a blow for many of the town’s businesses. “The homophobic attitudes being expressed online are reminiscent of those from the 1990s when I was first brought, by the Isle of Wight council and health Authority to our Island, to support our LGBT+ community. “They wanted to educate Islanders about the oppression and fears of difference and HIV. “Pride is no different from from any other cultural festival that occurs within society today, be it cultural or spiritual difference. Today Pride is a festival of hope and celebration of difference and diversity. Stay up-to-date with upcoming Pride events by following their Facebook Page. 1 Comment on "No main Isle of Wight Pride event for 2019"
I am allowed to have an opinion, Good.